Business owners in the UK generally understand the importance of showcasing their company online and more and more businesses are looking for a trusted and ethical SEO agency to help with the management of their website and digital marketing strategy. For a list of the packages that we provide see SEO Packages and SEO Prices. These packages are a guide. Our experts will work with you to formulate a digital marketing plan, within your specified budget, bespoke to your business requirements. 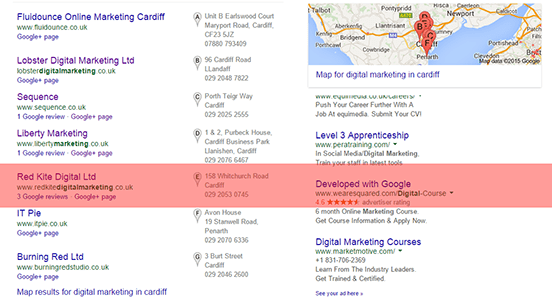 For business owners wishing to keep their SEO in-house Red Kite Digital offer bespoke SEO training. SEO training packages are currently delivered in half day segments. Please contact us directly to discuss your requirements. When starting up a business it’s hugely important to have an online and offline integrated marketing strategy. Online visibility through organic listings is at the forefront of any online strategy. 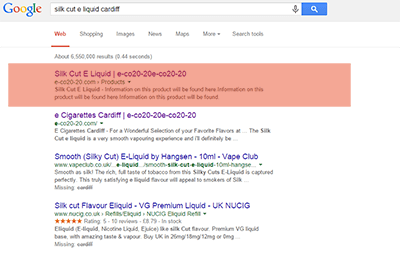 This online cigarette business was established in November 2014 and was ranking first in the Google SERPS for 4 keywords within 4 months. A great business with lots of potential within a very competitive market. The strategic marketing of these products is hugely important due to the restricted advertising imposed on tobacco products. Red Kite Digital designed a great e commerce site for us and we already have a number of keywords competitively ranking on the search engines. I highly recommend them. This thriving wellbeing and emotional health consultancy aims it’s services mainly at corporate clients and approached Red Kite Digital to help them be found by their target customer group. Following a keyword research program we are now working towards the development of further website pages optimised to these new keywords. We have also helped them rank 1 for their main keyword. 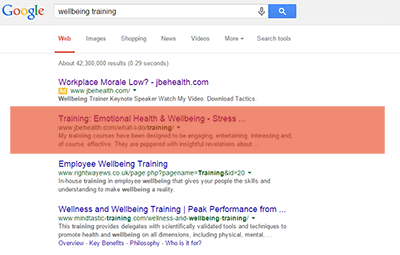 I strongly advise you visit their website for information on wellbeing at work training and resilience training. The Red Kite team have done a great job with the digital marketing of my business….provided a knowledgeable, professional, prompt and cost-effective service. My company now comes at the top of the relevant search page on Google and I’ve seen traffic to my website increase significantly…. streamline my website so that people can find what they’re after easily. A top-notch service all round, I can’t recommend them highly enough. There has been a huge increase in the number of micro-breweries over the last few years resulting in more businesses now competing for a share of the traditional brewing market. Within 4 months of the launch of the Bullmastiff website the business is now ranking on the first page for 12 major keywords / key phrases. This is having a very positive effect on the number of local traffic.